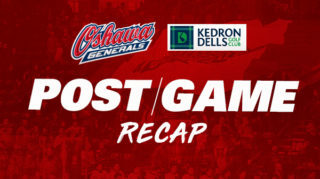 The Generals ended their three-game weekend tonight at the Tribute Communities Centre against the London Knights. 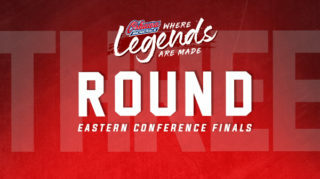 After winning against the Firebirds last Sunday but falling to the 67’s in a home and home this weekend, the Gens came into the contest with a 28-17-2-0 record on the season. Looking to close out the weekend with a win, the Gens aimed to take down the Knights in front of the hometown crowd. The Gens came out of the gate strong, controlling the play early on. The first quality opportunity of the period came five minutes in off a Gens 2-on-1 in which Nando Eggenberger passed the puck across the crease to Danil Antropov who hit the post on the chance. Oshawa continued to press the Knights, generating lots of shots on net and offensive zone time. With seven minutes remaining in the first, the Gens took the first penalty of the game for high-sticking to give the Knights a powerplay. With a strong PK effort and some big saves from Oshawa goaltender Kyle Keyser, the Gens were able to kill off the penalty. In the last few minutes of the period, Oshawa’s penalty struggles continued as the team was called for an interference call. This time around, London’s powerplay was able to capitalize on their chance with Connor McMichael chipping one past the Gens in front of the net to give the Knights a 1-0 lead. 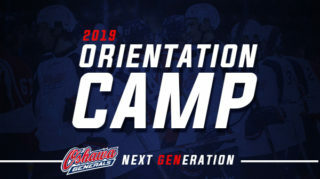 In the period’s final minute, Gens forward Brett Neumann made a pass across London’s crease that hit a defender in front and caused Knight’s goalie Joseph Raaymakers to make a stick-save on the goal line, sending the Gens into the intermission trailing 1-0. The two teams exchanged opportunities early in the period, taking the play back and forth between ends. Seven minutes into the second, Kyle Keyser came up big on a save off a Knights pass across the net that the goaltender stretched out for and closed the door. Around the halfway point in the period, the Knights had the Gens trapped in their end for a few shifts, but Keyser stood tall with several stops to keep the game at 1-0. Shortly afterward, Oshawa was called for a checking from behind penalty to put them back on the PK. With strong defensive play, the Gens were able to hold off the Knights powerplay to remain down by one. With just under four minutes left in the period, Keyser made an amazing glove save off a Knights forward streaking down the wing, continuing his strong play between the pipes. After the save, the Gens received their first man advantage opportunity of the game when London took a tripping penalty. 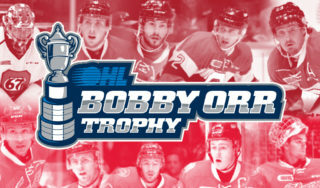 While Oshawa didn’t find the back of the net, the Knights got called for cross-checking as the first penalty was expiring, giving the Gens another chance. This time the Gens made no mistake, with Allan McShane burying a loose puck in the slot to tie the game at 1-1 heading into the final frame. Oshawa began the third period with a powerplay off a London slashing penalty taken at the end of the second. With the hot powerplay given another chance, the Gens came up big once again with Nicolas Mattinen shooting in a rebound in front of the net, putting the Gens ahead 2-1. The goal sparked tons of energy into the team, with Oshawa having several shifts of controlled play in London’s end afterward. The strong play from the Gens caused them to draw a penalty from the Knights to give Oshawa’s powerplay another look. However, it was London who was able to pot one with a shorthanded tally from Liam Foudy to knot the game at 2-2. The Gens fought back to regain the lead, with Anthony Salinitri ripping home a one-timer in the slot off a pass from Mattinen. Coming right back with a goal of their own, the Knights scored their third of the night shorty after Oshawa’s goal to tie the game back up. Things got worse from there for the Gens when London scored another goal immediately afterward, giving them a 4-3 lead with just under nine minutes left in the period. In the final five minutes of the game, the Knights received a penalty shot opportunity after their player was tripped on a breakaway, but Kyle Keyser came up with a clutch save to keep the Gens within one. With under two minutes remaining, the Gens pulled Keyser to get out the extra skater. While Oshawa fought hard to find the tying goal, the Knights managed to put the puck into the empty net to end the game at 5-3 for London. 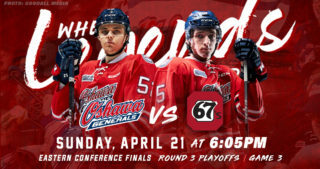 With a tough loss tonight, the Gens will look to get back to their winning ways next weekend. 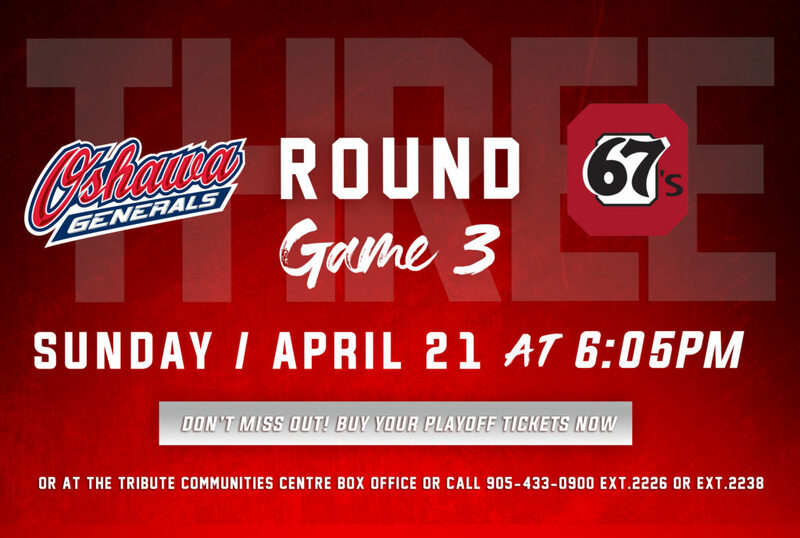 The team will go on to play the Petes at home on Friday and head to Peterborough on Saturday for the back half of a home and home, then return to Oshawa to host the Greyhounds on Sunday. Tonight’s game was Whitby Minor Hockey Night at the Tribute Communities Centre. For the event, the Oshawa Generals hosted Owen Brady, Whitby Wildcats Minor Midget AAA captain who was recently diagnosed with cancer. If you are looking to make a donation, a GoFundMe has been started to help support the family. To make a donation–click here! To learn more about Owen Brady’s story–click here.